Imperial Conflict - Rule The Galaxy! Greetings, Commander. Your Empire awaits. 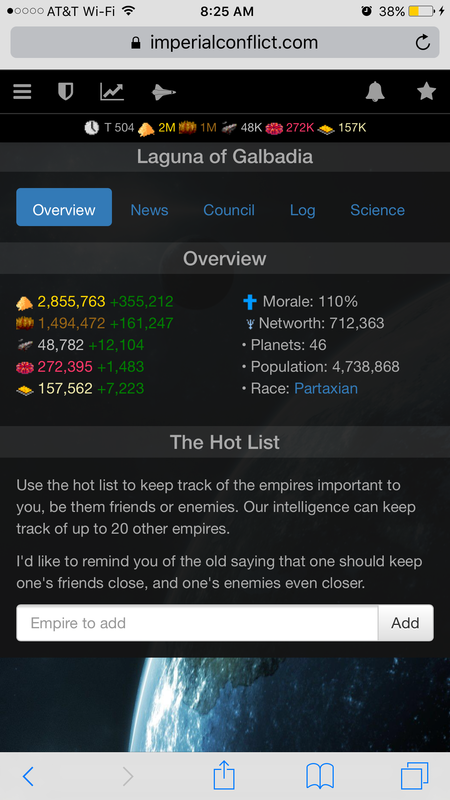 149 Players are commanding 216 Empires across 5 Galaxies. Imperial Conflict is a classic competitive strategy experience like no other. 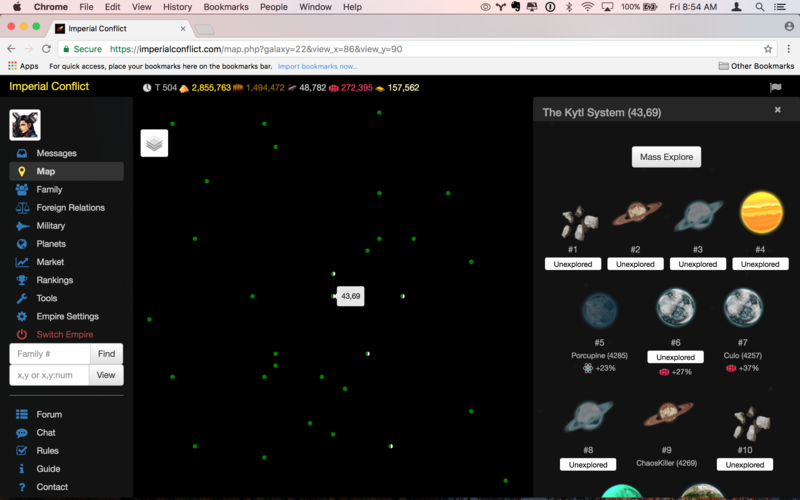 Be the first to Send Exploration Ships to colonize new planets and solar systems. Discover planets with resource bonuses before your competition. Manage your empire’s economy and infrastructure and trade resources with other players on the Galactic Market. Conquer your enemies with military might, magic, and/or covert operations. Become a Patreon Subscriber to host custom galaxies of your own design, including 1v1 grudge matches. Imperial Conflict is proud to never employ pay-to-win schemes, and is 100% free to play for everybody. This is made possible by the support of our Patreon subscribers. Patrons are eligible for rewards according to their subscription level.